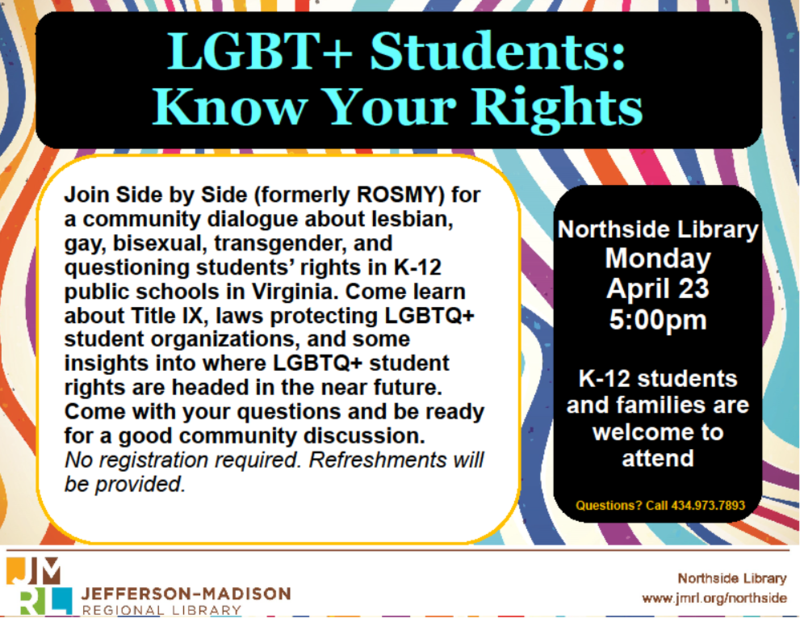 Join Side by Side for a community dialogue about lesbian, gay, bisexual, transgneder, and questioning students' rights in K-12 public schools in Virginia. Come learn about Title IX, laws protecting LGBTQ+ student organizations, and some insights into where LGBTQ+ student rights are headed in the near future. Come with your questions and be ready for a good community discussion.